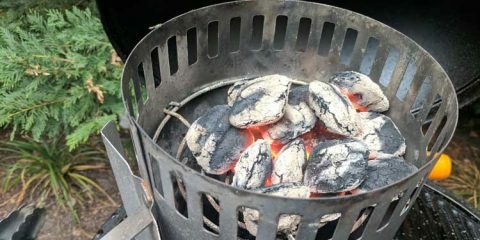 When you picture a backyard barbecue with food sizzling on a charcoal grill, the grill you are most likely picturing is a Weber Kettle. Weber hasn’t changed this design in decades because it simply is the best of the best. Its shapes creates the ideal grilling environment with a large amount of space and adequate ventilation. 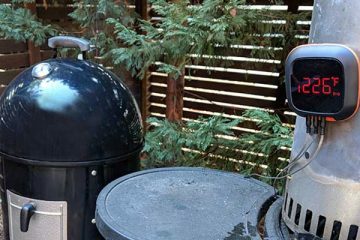 We picked the Original Premium Weber Kettle as the best value option in our round up of the best charcoal grills for 2018. This grill has a few features that have been improved upon from the original backyard icon, and with a small price tag, this model certainly gives the most bang for your buck. 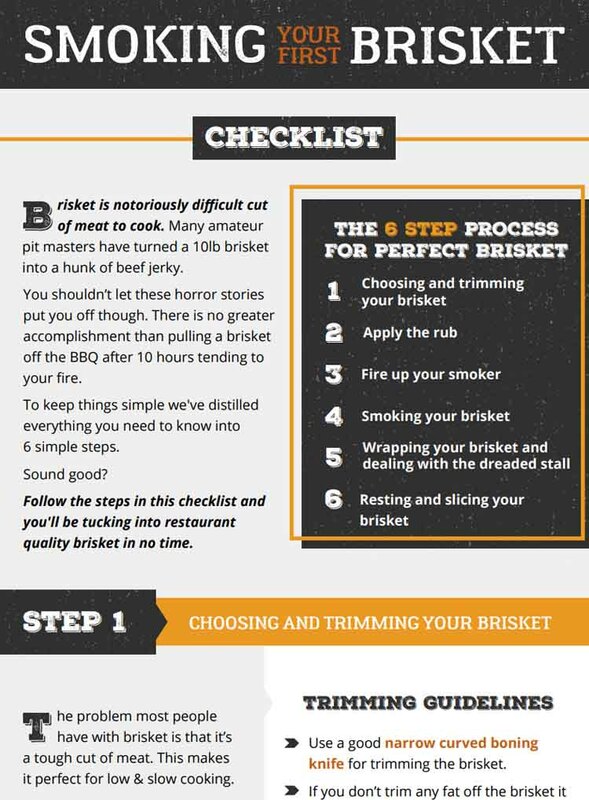 Should You Buy the Weber Original Premium 22” Kettle? Weighing in at just over 32 pounds, the Weber Original Premium 22” Kettle is a lightweight grill featuring 363 square inches of cooking space. To put that into perspective, you’re looking at being able to fit thirteen burgers at a time on this grill’s plated steel cooking grate. That grate is hinged to allow for easy access to your coals. The porcelain-enameled lid sits at a height of 7.5 inches, leaving you plenty of room to cook up some beer-can chicken or other sizable meats. A built in thermometer can be found on the top of the lid. When you take that lid off, there’s also a convenient angled lid hook which allows the lid to hang on the side of the grill rather than being placed on the ground. The Premium model comes equipped with the One-Touch cleaning system, an enclosed ash catcher, which is not present on the original model. This feature is a definite upgrade, as the open tray of the original allowed for ash to blow around everywhere while you were cooking. The Weber Original Premium 22” Kettle is also available in either black, copper, crimson, or green. Easy Cleanup – As we said before, the One-Touch enclosed ash catcher is a definite upgrade, and we’re happy to see this feature. It can hold quite a lot of ashes and is easy to remove and reattach with the spring loaded handle. Convenient Design – Not only is the cleanup convenient, but there are several other features that are designed with the user’s convenience in mind – such as the heat shield on the lid, the hinged cooking grate, a lid hook to keep your lid off the ground, and a tool hook for your tongs and spatulas. Portability – The Weber Original Premium 22” Kettle has a pair of heavy-duty, durable wheels built to withstand the elements and increase portability of the grill. Weighing just over 32 pounds, you can transport this grill all around your yard. 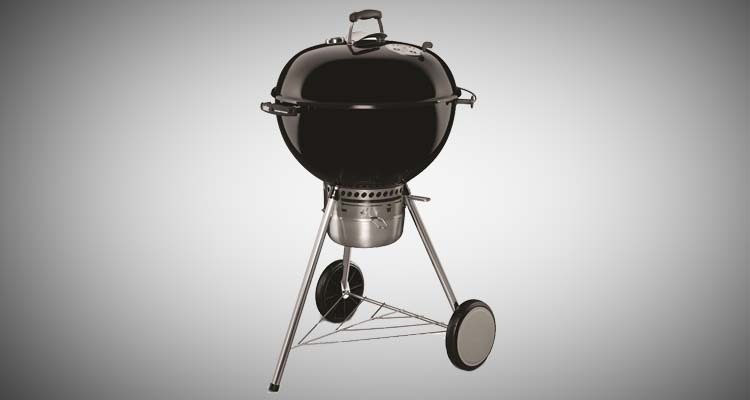 It’s a Classic – Weber is known for the dependability of their grills. The Premium Kettle has a few advanced features that make it superior to the original kettle, but once you have cooked on a Weber kettle, you will see why it has been one of the most popular names in grilling generation after generation. 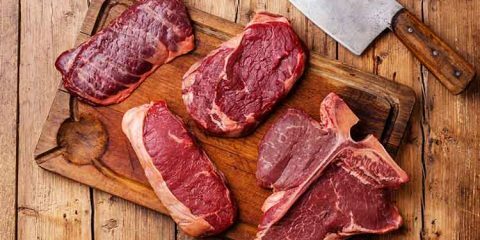 Lid Thermometer – The lid thermometer sits high above the meat that’s sizzling away on the hot grate, and being that far away from the coals means you aren’t getting an accurate read on the grill temperature. 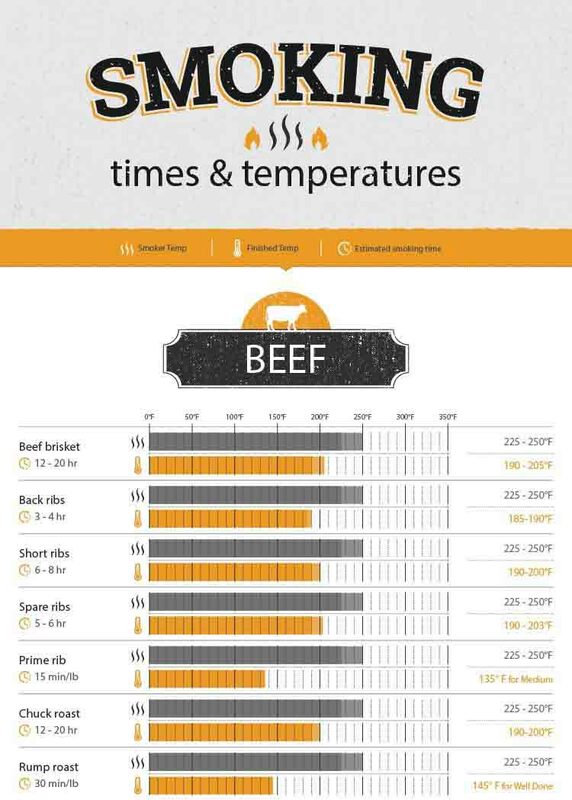 Invest in a good quality digital thermometer, and the problem is remedied. Three Leg Design – We loved the portability and high quality wheels of the Weber Original Premium 22” Kettle, but the legs themselves can be a bit unstable at times, making it seem like the grill itself is top heavy. Placement of the Lid Hook – If you can actually get the lid to attach to the lid hook and hang properly (this can be a struggle), then it blocks part of the grill and makes cooking on that side somewhat impractical and inconvenient. We often found ourselves just placing the lid on the ground anyway, the sole thing that this hook was made to avoid. The Weber Original Premium 22” Kettle is a prime example of small but mighty. Fully assembled, it stands 38.5-inch by 27-inch by 22.5-inch, and might appear somewhat small to many. However, its design and 363 square inches of cooking space make this grill bigger than it appears. All of its parts are built to last, from the rust resistant aluminum damper on top down to its durable, heavy-duty wheels. The seal between the lid and body is tight, keeping temperatures under control. 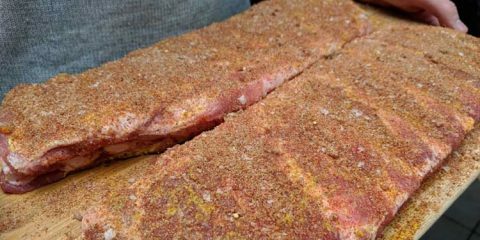 This excellent insulation is what allows you to use your Kettle grill as a smoker. 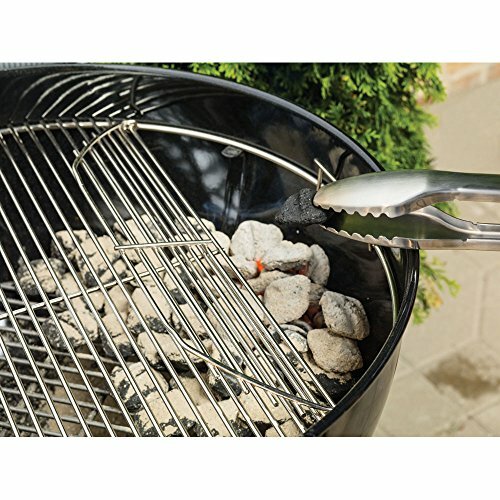 The hinged plated steel grate allows quick access to the coals for replenishing during grilling. It is also worth noting that you might remember Weber advertising its Kettles as 22.5”. While the new name reflects only 22”, the actual product dimensions are still a 22.5” diameter. The detachable ash catcher is a highlight to this model, giving it an advantage over the original. We were impressed by just how much ash it could hold, and the ease with which it could be removed, emptied, and then reattached. Its impressive that the Weber Original Premium 22” Kettle can pack in as many features as it does and still keep such a low price tag. It’s a great entry-level grill for anyone who doesn’t want to shell out for the larger models with more features. The Weber Original Premium 22” Kettle does a great job, and is built to last, making it an especially great grill for the casual backyard grill master. The Weber Original Premium Kettle is very easy to assemble, and should take less than a half hour total. Once you got down to grilling, the hinged grate allows you to quickly and easily replenish our coals, and the tight seal of the lid made sure we had even heat distribution. Like we said before, there were some issues with the lid, namely the hook it was meant to hang on. While we found the lid hook to be more an inconvenience, we appreciate being able to remove the lid and not having to deal with the eventual rust and wear of a hinged lid. The best way to see how easy the Kettle is to use is to actually watch someone use it! This video from BBQ Pit Boys does a good job of showing a typical Weber kettle setup. We think the Weber Original Premium is already a great bang for your buck, but if you’re looking for a less expensive model, the Weber Original Kettle gives you the same great quality grill and cooking experience, just without a few extra features. 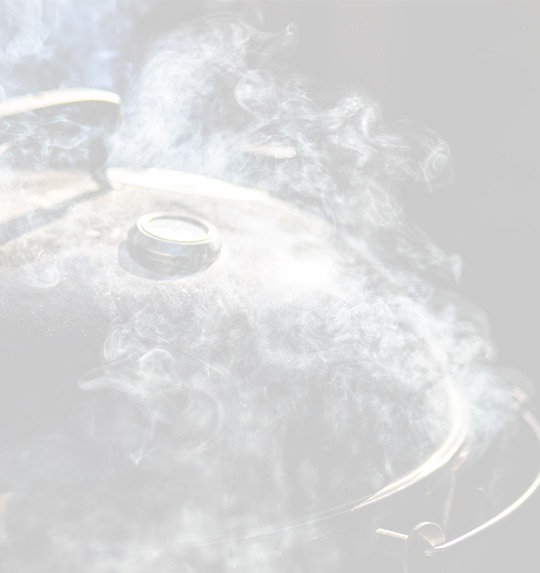 With the Weber Original Kettle, you will be missing out on the One-Touch cleaning system detachable ash catcher. Also absent with the Original is the hinged cooking grate and lid thermometer. Looking for a step up from the Weber Original Premium Kettle? The more advanced model would be the Weber MasterTouch Kettle. 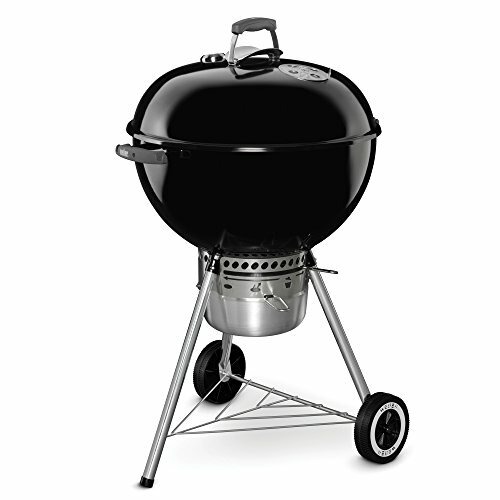 Its features include two charbasket charcoal holders, the famous Weber Gourmet BBQ system, and a warming rack. It is also about 2” taller than the Weber Original Premium Kettle, and comes with a larger price tag. 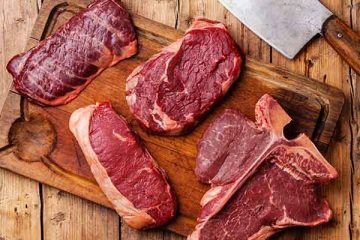 This is a great grill for beginners. It is easy to assemble and simple to use. It doesn’t have many extra features, but that simplicity can be an advantage. It is a versatile grill capable of cooking just about anything, so your grilling possibilities are really endless. The cooking space is adequate and capable of much more than you would expect from its small appearance. Cleanup is fast and much easier than other models. Overall, we found the Weber Original Premium 22” Kettle to be well worth its price, and a dependable, backyard barbecue staple.